It’s unfortunate when a loved one passes away because of another driver’s negligence. We understand that this time is difficult for you and other surviving family members. If you have any questions about your case, don't hesitate to contact us. However, there is a limited window of time for the decedent’s estate to file a wrongful death lawsuit. Our wrongful death attorney can help you win compensation for lost earnings, loss of companionship, and other damages. 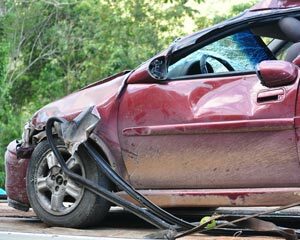 Continue reading to learn the other ways we can help you prove wrongful death after a fatal car accident. In the state of Michigan, you have 3 years from the date of death to file a wrongful death lawsuit. To prove wrongful death, you must show that the at-fault party owed a duty to the decedent to exercise reasonable care. Then, you must prove that the at-fault party breached this duty and caused actual damages. Hire a wrongful death attorney. File claim within 3 years of death. Expect pushback from claim adjusters. Head-on collisions are considered the deadliest. However, our car accident attorney has experience representing a variety of cases and is ready to help you move forward with your wrongful death lawsuit. If your family is weighed down by funeral expenses or medical bills incurred before death, you can’t afford to wait. Call our law firm today to request your consultation with our wrongful death attorney. In the state of Michigan, the decedent’s estate has 3 years from the date of death to file a wrongful death lawsuit. For this reason, we recommend hiring a wrongful death attorney as soon as possible to provide legal guidance. Our car accident attorney will make sure you don’t miss your deadline to file so you can get the compensation you need for lost earnings, funeral expenses, and other damages. It’s important to understand that the claim adjusters are not on your side. No matter how deserving your claim, the insurance company is working on behalf of the liable party to pay as little compensation as possible (if any). Fortunately, our car accident lawyer can help you gather the evidence you need to prove liability for a wrongful death. We understand how death affects families and will make sure your claim isn’t dismissed on a technicality. We stand for justice. You’ll need to prove that the other driver’s negligence caused the fatal car accident. Fortunately, our car accident attorney can help you gather the evidence needed to win compensation. To show negligence, you need to prove that the defendant owed a duty to the decedent to exercise reasonable care. Check out the other elements of a wrongful death lawsuit below. Have questions about your wrongful death lawsuit? Jerry M. Beurkens will be more than happy to answer any questions you might have during your consultation. To schedule your consultation with our wrongful death attorney in Grand Rapids MI, call Beurkens Law at (616) 459-5344.